These Terms and any of the documents referred to in the Terms create a legally binding agreement between you and Mobius. Please read them carefully. In order to use the Services, you must first agree to the Terms. You may not use the Services if you do not accept the Terms. If you do not accept the Terms, you will not be able to access the Services. Mobius reserves the right to modify these Terms from time to time. If you continue to use the Services after such modification, you will be deemed to have read, understood, and unconditionally agreed to such changes. In order to access certain Services, you may be required to provide information about yourself as part of the registration process for the Services or as part of your continued use of the Services. You must provide a valid email address and password to create your account with Us (“Account”). You understand that you are responsible for maintaining the confidentiality of your password and other Account information. Accordingly, you agree that you will be solely responsible to Mobius for all activities that occur under your Account, and We are not responsible for problems with your Account due to misuse of your email address and/or password. If you become aware of, or suspect, any unauthorized use of your email address, password, or Account, you agree to notify Us immediately at hello@mobius.network. In order to open an Account, you must be age 13 or older. Mobius does not target our Services to children under 13, and We do not knowingly permit any individual under 13 years of age to use our Services. If We learn of any user under 13, We will terminate the user’s Account immediately. If you are a resident of a country outside the United States, your country’s minimum age may be older. In such a case, you are responsible for complying with your country’s laws. You acknowledge that Mobius will use the email address you provide as the primary method of communication. A breach or violation of any term in the Terms, as determined in the sole discretion of Mobius, will result in an immediate termination of your Account and your access to the Services. In addition to these Terms, you also agree to be bound by the additional service-specific terms applicable to applications, websites, or services provided by Mobius’ partners or other third parties. While using the Services, you must follow the Acceptable Use Policy (“AUP”) described in this section. “User-Generated Content” includes, without limitation, text, data, articles, images, photographs, graphics, software, applications, designs, features, and other content uploaded, collected, generated, stored, displayed, distributed, transmitted, or exhibited in connection with your Account. We may, at any time and without notice, remove any User-Generated Content, and suspend or terminate your Account or your access to the Services if you engage in activities that violate the letter or spirit of this AUP. Mobius has the right, but not the obligation, to monitor or investigate any User-Generated Content and use of the Services at any time for compliance with this AUP. Our determination of whether a violation of this AUP has occurred will be final and binding, and any action taken with respect to enforcing this AUP, including taking no action at all, will be at our sole discretion. Your use of the Services, including the posting or uploading of User-Generated Content, must not violate any applicable laws, including copyright or trademark laws, export control laws, or other laws in your jurisdiction. You are responsible for making sure that your use of the Services is in compliance with laws and any applicable regulations. transmit malware or host phishing pages. You may not perform activities or upload or distribute User-Generated Content that harms or disrupts the operation of the Services or the infrastructure of Mobius or others, including Mobius’ third party providers. infringes or violates any proprietary right of any party, including patent, trademark, trade secret, copyright, right of privacy, right of publicity, or other rights. attempt to disrupt or tamper with Mobius’ servers in ways that could harm Mobius’ website or Services, to place undue burden on Mobius’ servers through automated means, or to access the Services in ways that exceed your authorization. You agree not to reproduce, duplicate, copy, sell, resell, or exploit any portion of the Services, use of the Services, or access to the Services without Mobius’ express written permission. Misuse of the personal information of Services users is prohibited. “Your Content” means User-Generated Content that you create or own. You may upload User-Generated Content while using the Services. You must submit to Mobius each User-Generated Content that you wish to upload to the Services. All copies of the User-Generated Content you submit will be retained (or destroyed) by Mobius and will not be returned. You are responsible for retaining a back-up copy of your User-Generated Content. We do not claim any intellectual property rights over the User-Generated Content that you upload to the Services. You retain ownership of and responsibility for Your Content. If you are posting anything to the Services that you did not create yourself or do not own the rights to, you agree (i) that you are responsible for any content you post; (ii) that you will only submit content that you have the right to post; and (iii) that you will fully comply with any third party licenses related to content you post. You are solely responsible for the content of, and for any harm resulting from, any User-Generated Content that you post, upload, link to, or otherwise make available via the Services, regardless of the form of the that content. We are not responsible for any public display or misuse of Your Content. Mobius has no obligation to distribute any User-Generated Content you submit, and Mobius will not distribute any User-Generated Content unless and until the User-Generated Content has been approved by Mobius. If Mobius chooses to distribute your approved User-Generated Content through the Services, We will do so in accordance with these Terms. Mobius reserves the right, in its sole discretion, to make all decisions regarding placement or promotion for User-Generated Content. You acknowledge and agree that Mobius (or Mobius’ licensors) own all legal right, title, and interest in and to the Services, including any intellectual property rights which subsist in the Services (whether those rights happen to be registered or not, and wherever in the world those rights may exist). Unless you have agreed otherwise in writing with Mobius, nothing in these Terms gives you a right to use any of Mobius’ trade names, trademarks, service marks, logos, domain names, and/or other distinctive brand features. Unless you have been expressly authorized to do so in writing by Mobius, you agree that in using the Services, you will not use any trademark, service mark, trade name, logo of any company or organization in a way that is likely or intended to cause confusion about the owner or authorized user of such marks, names, or logos. Mobius reserves the right to remove any User-Generated Content from the Services for any reason. Such reasons may include, without limitation, (i) your breach of these Terms; (ii) your express termination of the agreement formed by these Terms or of the license grants associated with Your Content; (iii) an assertion or claim that Your Content infringes the intellectual property rights of a third party or otherwise contains illegal content; or (iv) user complaint(s) about the content or quality of Your Content. You retain all moral rights to Your Content that you upload, publish, or submit to any part of the Services, including the rights of integrity and attribution. However, you waive these rights and agree not to assert them against Us, to enable Us to reasonably exercise the rights granted in Section 9(A), but not otherwise. To the extent this agreement is not enforceable by applicable law, you grant Mobius the rights We need to use Your Content without attribution and to make reasonable adaptations of Your Content as necessary to render the Services and provide the Services. We need the legal right to host, publish, and share Your Content. You grant Us and our legal successors an irrevocable, unlimited, worldwide, royalty-free and non-exclusive license to store, parse, adapt, modify, and display Your Content, and make incidental copies as necessary to render the Services and provide the Services. This includes the right to (i) copy Your Content to our database and make backups; (ii) show Your Content to you and other users; (iii) parse Your Content into a search index or otherwise analyze it on our servers; (iv) share Your Content with other users; and (v) perform Your Content. This license does not Grant Us the right to sell Your Content or otherwise distribute or use it outside of our provision of the Services. Any User-Generated Content that you post publicly may be viewed by others. You grant each user of the Services a nonexclusive, worldwide license to use, display, and perform Your Content through the Services. If you are uploading content that you did not create or own, you are responsible for ensuring that the content you upload is licensed under terms that grant these permissions to other Services users. Mobius supports the protection of intellectual property and asks users of the Services to do the same. If you believe that content on the Services violates your copyright, please submit a “Takedown Notice” at dmca@mobius.network. There may be legal consequences for sending a false or frivolous Takedown Notice. Before sending a takedown request, you must consider legal uses, such as fair use and licensed uses. 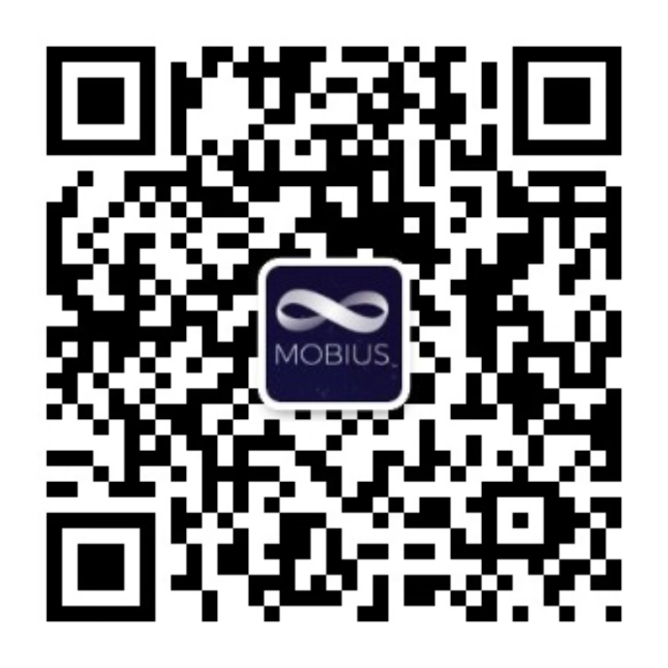 “MOBI” is a digital token distributed by Mobius. It is also the token of the Services. User-Generated Content must accept MOBI in order to be uploaded on the Services. MOBI can be exchanged in the Services for an equal number of Services Credits (“Credits”) (e.g., one MOBI can be exchanged for one Credit). Credits can only be used in the Services. You can use Credits to access, play, and use User-Generated Content that has been uploaded on the Services. You can review your Credit balance by logging into your Account. Credits are not MOBI, and Credits cannot be exchanged or converted into MOBI. You cannot withdraw Credits from the Services or otherwise use them outside of the Services. Requests for Credits in exchange for MOBI are granted at our sole discretion. Credits can be spent in User-Generated Content uploaded on the Services. Once Credits are deposited and used in User-Generated Content, they are transferred to the developer of the User-Generated Content and cannot be recovered by Mobius or the depositor. If you successfully upload Your Content on the Services and it is approved, Your Content will earn some MOBI for every Credit that it receives. Requests for MOBI in exchange for Credits will granted at our sole discretion. In order to receive MOBI in exchange for Credits earned through the Services, you must first complete Anti-Money Laundering procedures and Know Your Customer review. The Stellar MOBI Issuer Account (the “Issuer Account”) is not designed to receive any assets. Any assets including MOBI sent to the Issuer Account will be forfeited, lost, and/or destroyed. The Mobius Stellar MOBI Payment Account (the “Payment Account”) is only designed to receive MOBI. Any assets other than MOBI sent to the Payment Account will be forfeited, lost, and/or destroyed. Any MOBI sent to the Payment Account incorrectly (e.g., without a memo) will be forfeited, lost, and/or destroyed. Refunds for Credits or MOBI will be granted at our sole discretion. Your use of the Services is at your sole risk. Mobius provides the Services “as is” and “as available,” without warranty of any kind. We expressly disclaim all warranties, whether express, implied, or statutory, regarding the Mobius website and the Services including, without limitation, any warranty of merchantability, fitness for a particular purpose, title, security, accuracy, and non-infringement. Mobius does not warrant (i) that the Services will meet your requirements; (ii) that the Services will be uninterrupted, timely, secure, or error-free; (iii) that the information provided through the Services is accurate, reliable or correct; (iv) that any defects or errors will be corrected; (v) that the Services will be available at any particular time or location; (vi) that the Services are free of viruses or other harmful components; (vii) that your use of the Services will not result in any loss of assets by you. You assume full responsibility and risk of loss resulting from your downloading and/or use of files, information, content, or other material obtained from the Services. You agree to indemnify and hold Us and (as applicable) our parent, subsidiaries, affiliates, partners, officers, directors, agents, and employees (collectively, the “Indemnified Parties”) harmless from and against any and all claims, liabilities, losses, damages, costs and expenses, including, without limitation, reasonable attorneys’ fees, incurred by the Indemnified Parties arising out of or relating to (1) an assertion that Your User-Generated Content or the use thereof, may infringe any copyright, trademark, or other intellectual property rights of any individual or entity, or are a misappropriation of any individual or entity's trade secret, or contain any libelous, defamatory, disparaging, pornographic, or obscene materials; (2) Your violation of any rights of a third party; (3) any breach by You of your obligations under these Terms; (4) Your unlawful and/or unauthorized use of, or activities in connection with the Services; (5) Your violation of any applicable law; (6) Your access to, use of, or inability to use the Services; and (7) any negligent acts, omissions or willful misconduct by You. The foregoing indemnities shall survive expiration or termination of these Terms. TO THE EXTENT NOT PROHIBITED BY LAW, OUR TOTAL LIABILITY TO YOU FOR ANY BREACH OF ANY TERM IN THE TERMS, NEGLIGENCE, OR OTHER DEFAULT SHALL NOT EXCEED THE AMOUNT OF $100. THIS LIMITATION WILL APPLY EVEN IF ANY REMEDY SPECIFIED IN THESE TERMS IS DEEMED TO HAVE FAILED OF ITS ESSENTIAL PURPOSE. It is your responsibility to properly cancel your Account. You can cancel your Account at any time by emailing hello@mobius.network and then following the specific instructions provided to you in Mobius’ response. We will retain and use your information as necessary to comply with our legal obligations, resolve disputes, and enforce our agreements. However, barring legal requirements, We will delete your Account and Your Content upon termination of the Services by either party (though some information may remain in encrypted backups). This information cannot be recovered once your Account is cancelled. Mobius reserves the right to suspend or terminate your access to all or any part of the Services for any reason, with or without notice, at any time. Mobius also reserves the right to refuse service to anyone for any reason at any time. The Terms, and your relationship with Mobius under the Terms, shall be governed by the laws of the State of California, without regard to conflict of law provisions. You and Mobius agree to submit to the exclusive jurisdiction and venue of the courts located in the County of San Francisco, California. The Terms and the documents referred to in these Terms constitute the whole legal agreement between you and Mobius and govern your use of the Services (but excluding any services which Mobius may provide to you under a separate written agreement), and completely replace any prior agreements between you and Mobius in relation to the Services. You agree that Mobius may provide you with notices, including those regarding changes to the Terms, by email or postings on the Mobius website or Services. You may not transfer, assign, charge, or otherwise dispose of these Terms, or any of your rights or obligations arising under them, without our prior written consent. Any unauthorized assignment and delegation by you is void. We may transfer, assign, charge, sub-contract or otherwise dispose of these Terms, or any of our rights or obligations arising under it, at any time during its term. Throughout these Terms, each section includes titles. These section titles are not legally binding. You agree that if Mobius does not exercise or enforce any legal right or remedy which is contained in the Terms (or which Mobius has the benefit of under any applicable law), this will not be taken to be a formal waiver of Mobius’ rights and that those rights or remedies will still be available to Mobius. If any court of law, having the jurisdiction to decide on this matter, rules that any provision of these Terms is invalid or unenforceable, then that provision will be removed from the Terms without affecting the rest of the Terms. The remaining provisions of the Terms will continue to be valid and enforceable. These terms may only be modified by a written amendment signed by an authorized representative of Mobius. Questions about the Terms should be sent to hello@mobius.network.